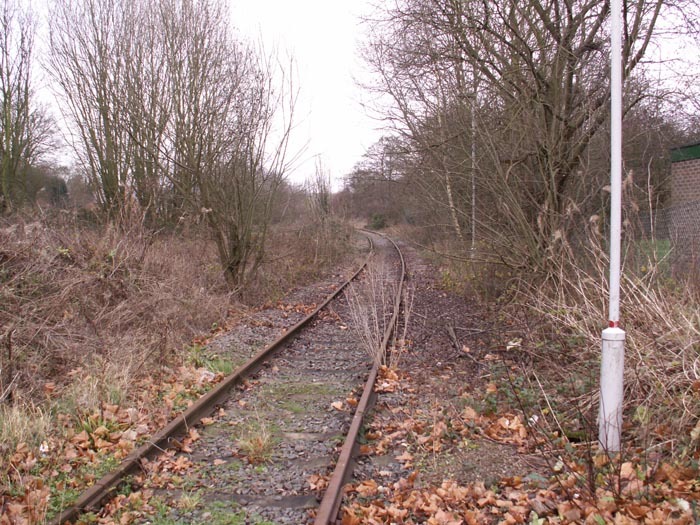 During a spell at the in-laws in Ilkeston I decided to investigate the ex-Midland Railway's Ripley Branch which linked their lines between Derby and the North East and Derby and the North West. 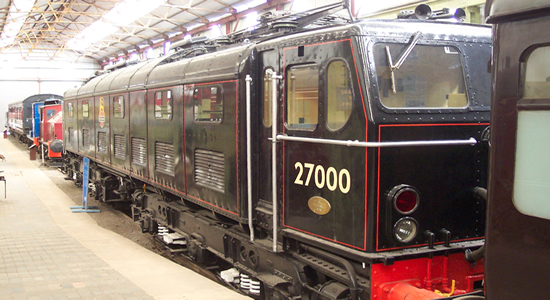 Opening in 1856 and running passenger services until 1930, the line lingered on serving the Denby open cast disposal site from where coal trains would run to Drakelow and Lea Hall power stations, ceasing finally in 1999. 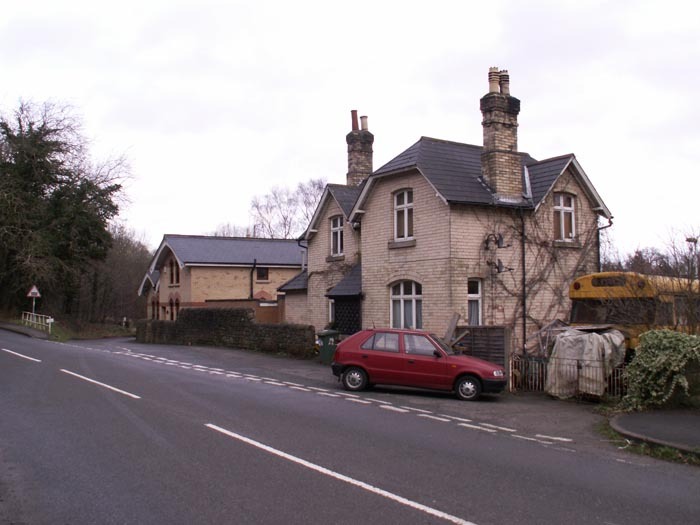 The first station on the branch, heading North, was Little Eaton, seen here with the station house to the right. 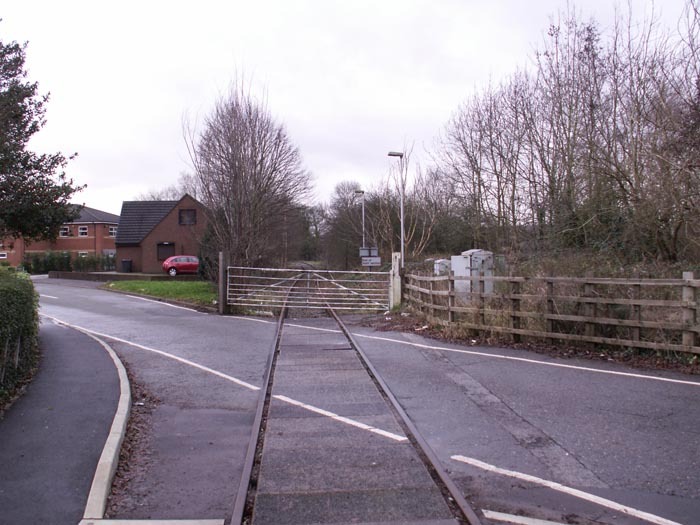 Crossing the road, we are looking at the station site, where once sidings to the right served Brook Mill paper mill. 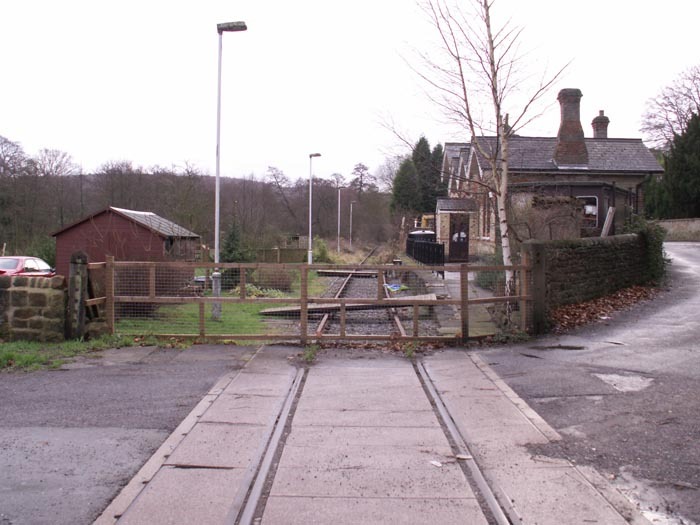 Here we get a closer look at the station house, platform site to the left. 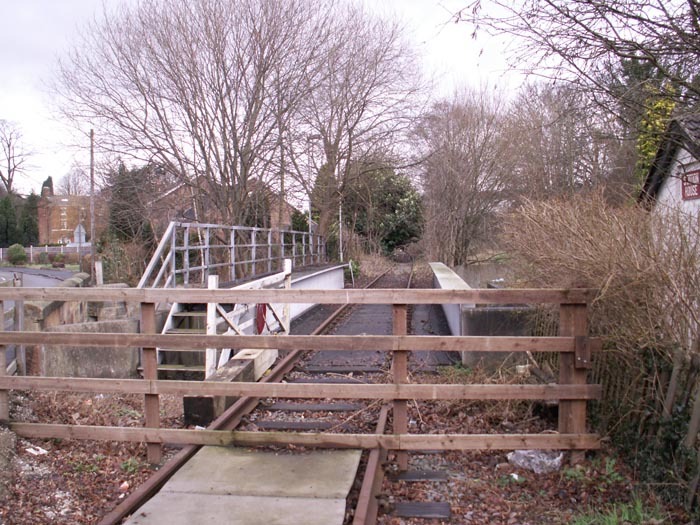 With our back to the station, we see the line disappear towards Little Eaton Junction. 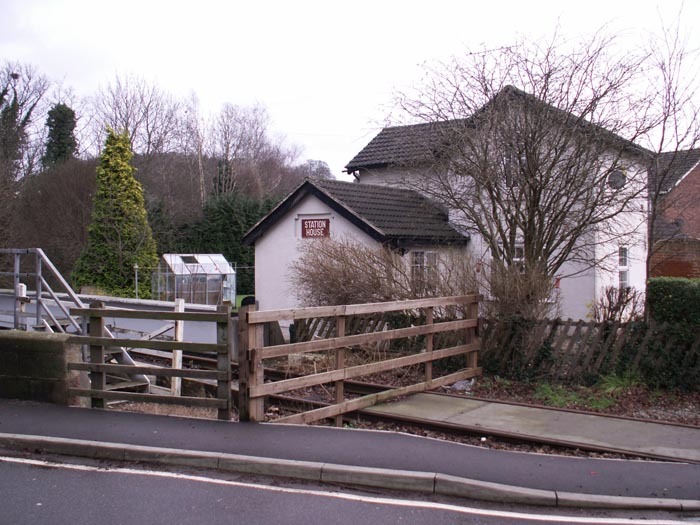 Next on the route was Coxbench station seen here, now a private residence. 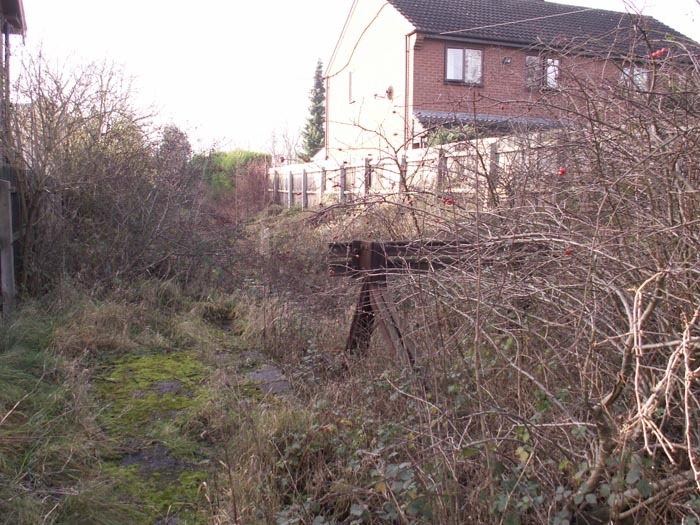 A closer look at what is now the back garden of the property shows the platform in excellent condition. 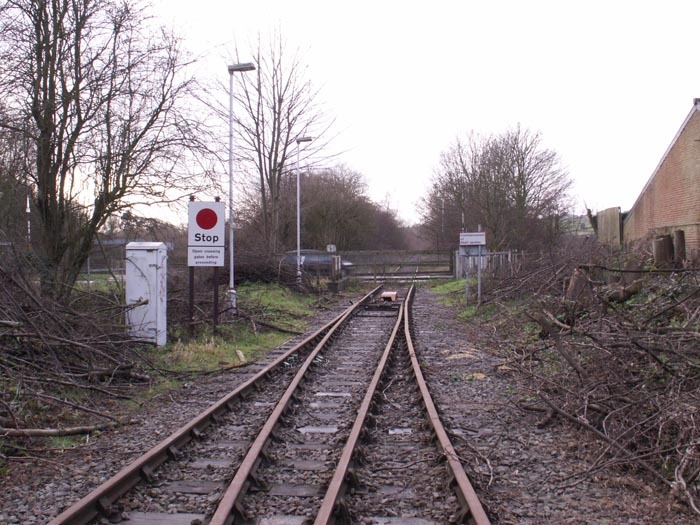 In this view we have the station to our rear and are looking towards Kilburn. 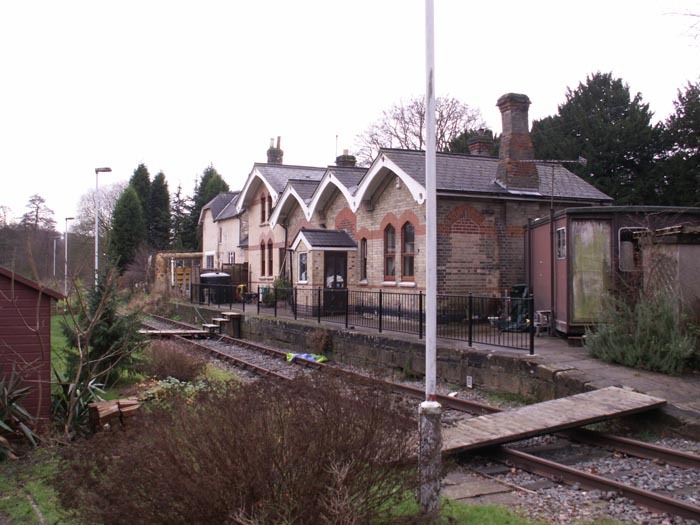 Finally, we see the renovated front of the station building and Stationmaster's house to the right. 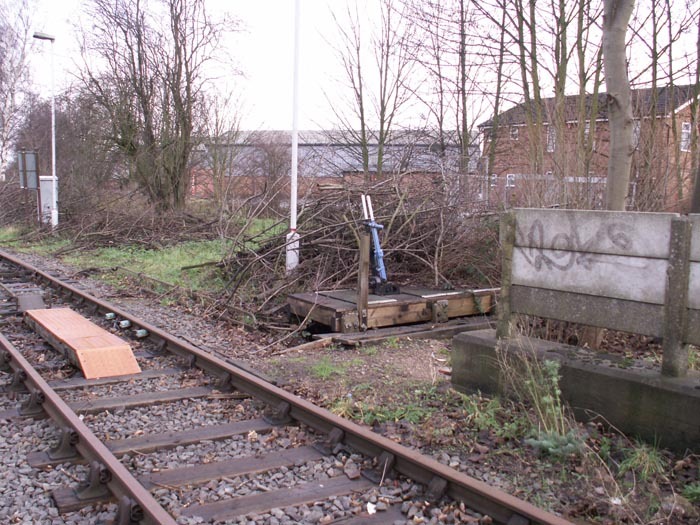 Here we see the site of Kilburn station, which stood to the right of the level crossing. 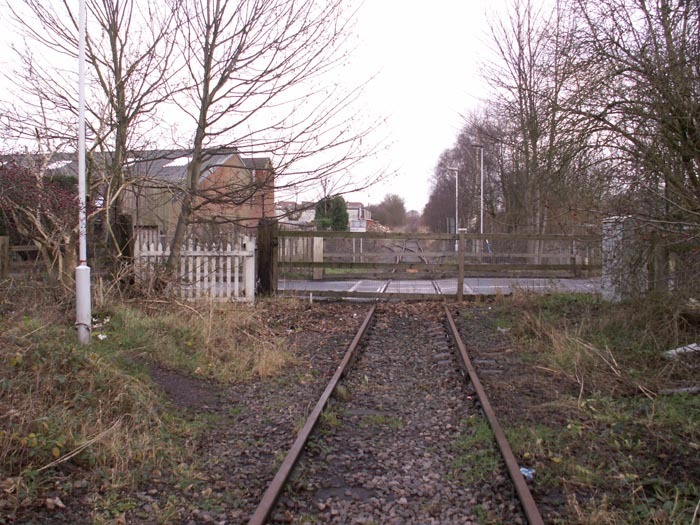 Looking towards Denby, we are on the exact spot once occupied by the station platform. 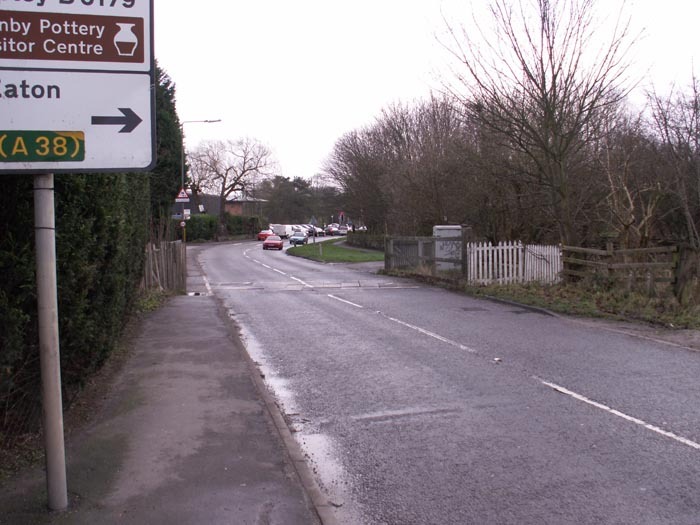 Here we have crossed the level crossing towards Denby and are looking back towards the station site. 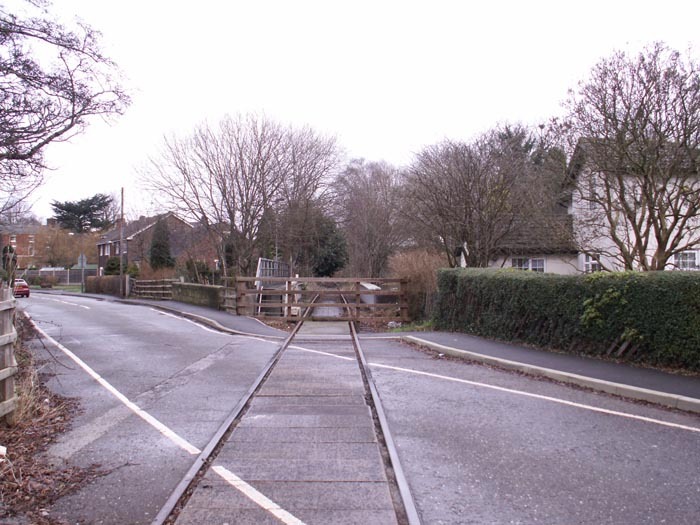 This final shot shows a ground frame still in situ adjacent to the level crossing, controlling a passing loop ahead. 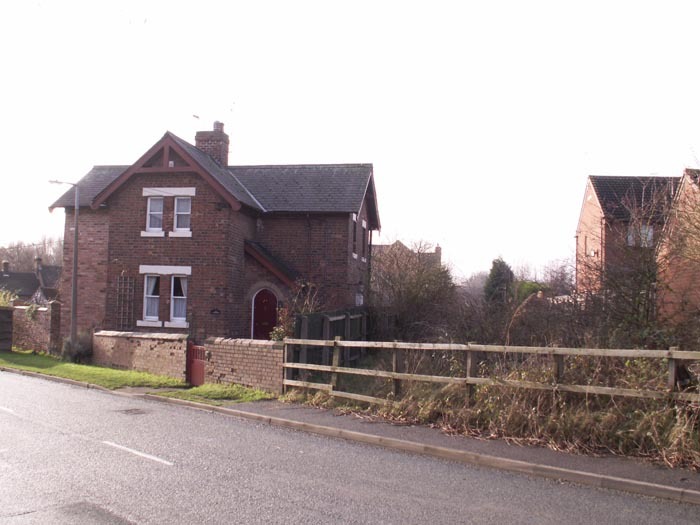 Here we see the Stationmaster's house at Denby with the line passing to the right. Crossing the road and looking over the fence reveals this shot. 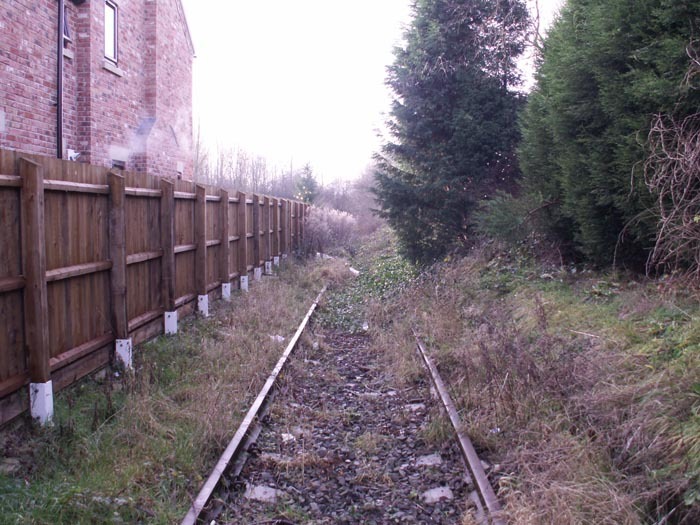 The house's current owner informed me that EWS leased the line and had used it as a headshunt until closure. The platform is still in place to the right, but hard to discern, in this view looking to the buffer stop. 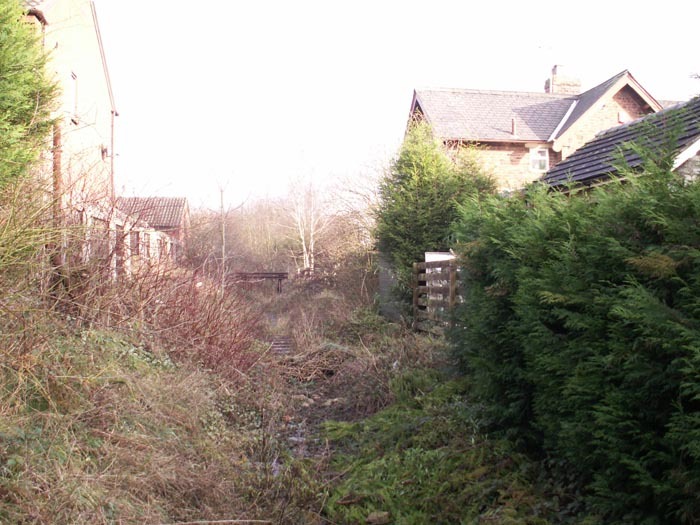 Looking back towards Kilburn with the station site to our rear.